The digi scriptures of the soothsayers foretold the end of the human race. Unrestricted technological advances would wipe us out, they decreed. And so mortal fear of AI and the rise of the robots spiraled, from which a modern-day Luddite movement emerged, intent on halting technological advancement and scuppering scientific progress. Amid the paranoia, a rebellion of progressives surfaced, known only as the Bionics. No one knew how many they numbered. Only that they were an elite corps of techno freedom fighters, feared and despised by technophobes, idolized by all Futuristas, and ultimately forced underground. Their work, their beliefs spoken of only in hushed tones, and reflected in cult status works of digital literature and artistry. Some say this epic deck of cards was created by a Bionic to honor the bravado of the sect and express support for their cause. Its bold, unique design pays homage to those brave champions of change. The sheen of each card's surface ensures a speedy draw and smooth, swift turns, reflecting the hyperspace pace of change these heroes supported, not to mention the dexterity they required to evade capture. Others were convinced each ultra-detailed armored chrome-fueled card design conveyed secret messages decipherable only by Bionics with the knowledge to crack the coding hidden amid the bright beacons of color and intense noir. Either way, to possess a deck was, and remains, the ultimate symbol of defiance. Each card a portal to a promised land of opportunity. 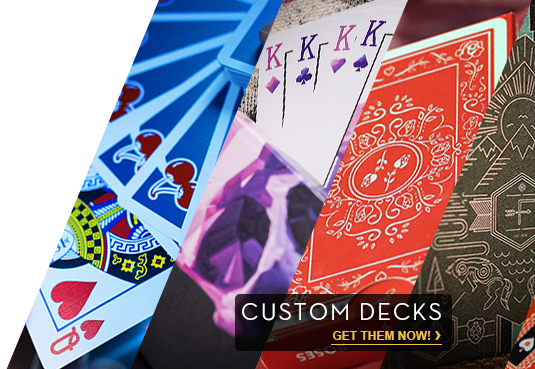 Whatever you believe, this magnificent deck pays homage to freedom fighters, past, present and future. Know that every time you slide the cards from the tuck, you are making a statement, sending a signal that spans centuries and galaxies.